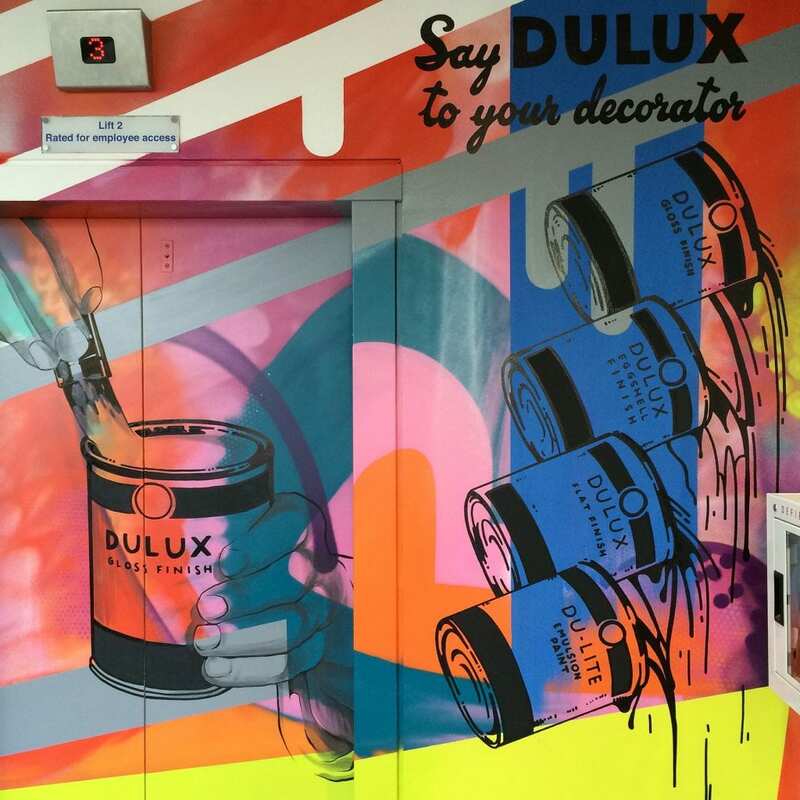 Dulux is the world’s leading brand of premium quality paint, providing DIY users and professionals with help and inspiration. 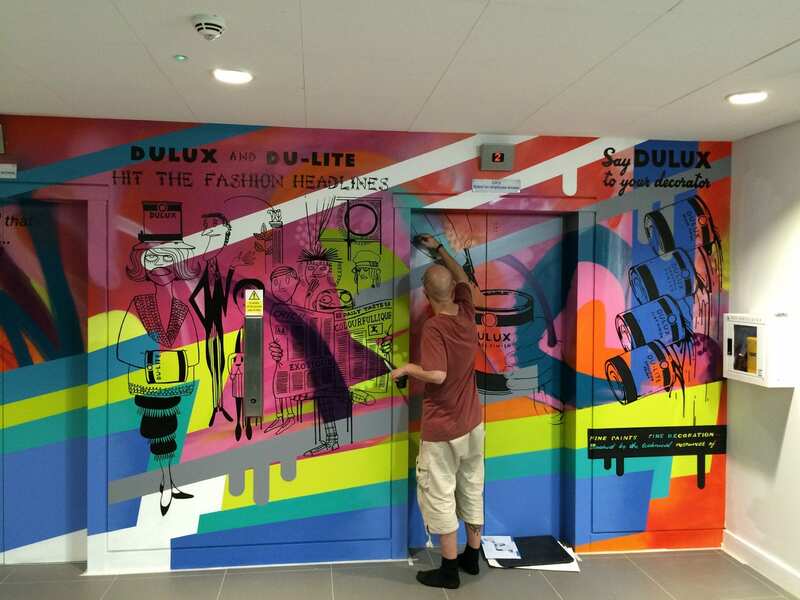 We were commissioned to transform the lift lobby on four floors of their 1950’s headquarters. 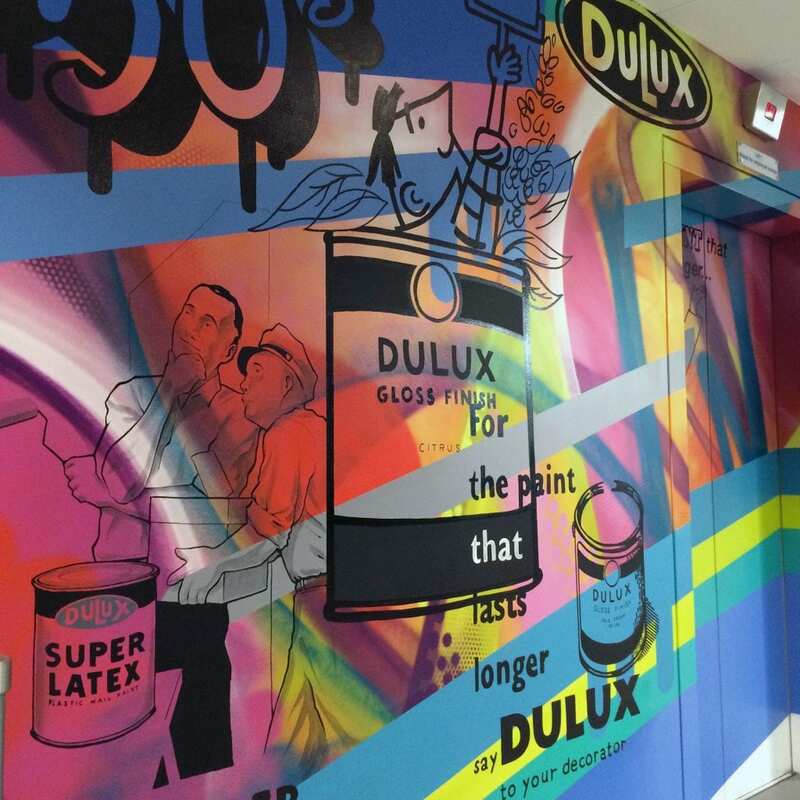 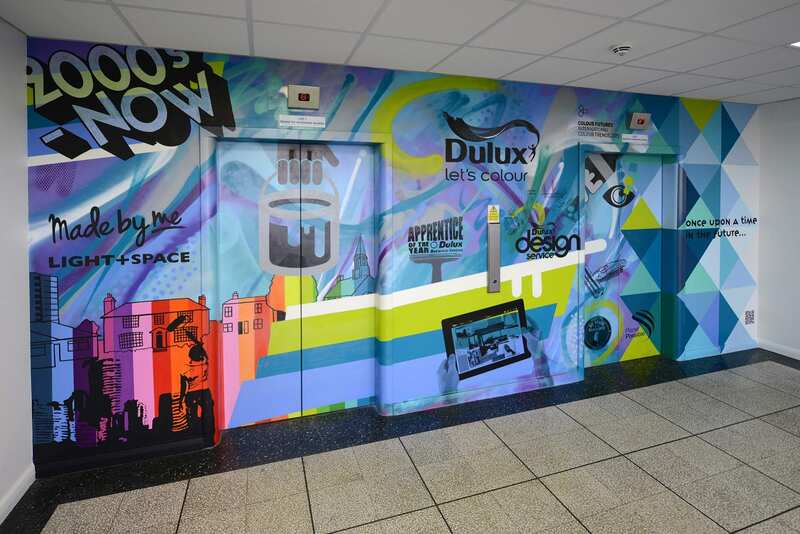 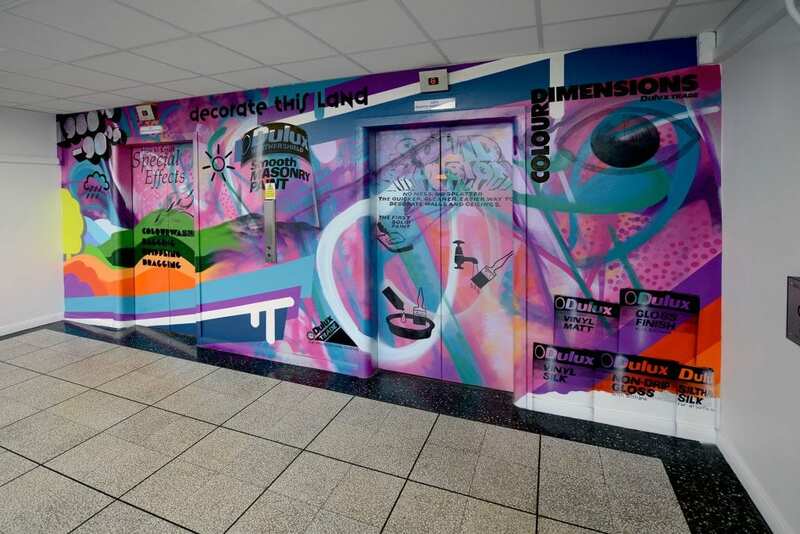 Working from their amazing advertising and marketing archive, we designed bright and vibrant historical murals which captured several decades on each floor, so creating a visual timeline of the Dulux brand. 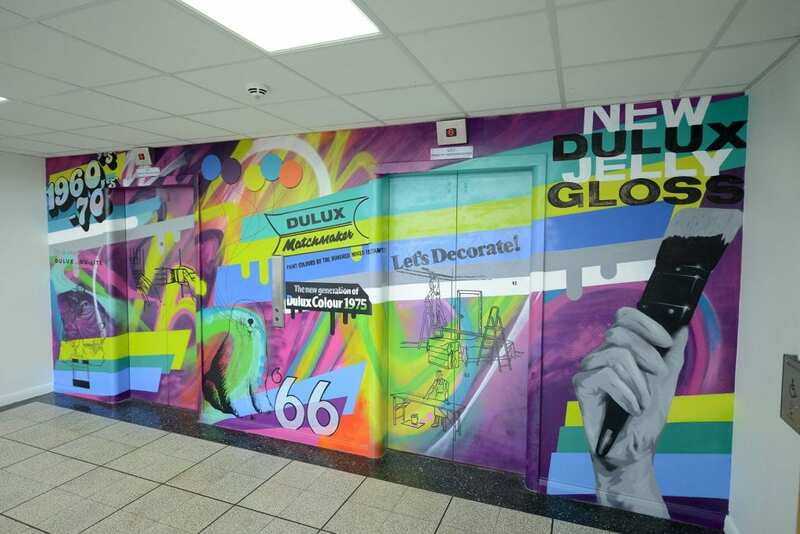 We hand-painted the vibrant backgrounds and overlaid these with historical advertising and key products, keeping the original look and feel within the design.